The Tory’s controversial bid to scrap the Human Rights Act and withdraw from the European Court of Human Rights could blight the UK’s role as a leading promoter of human rights worldwide, a leading parliamentary watchdog has warned. In a sternly worded open letter to Britain’s Joint Committee on Human Rights, the UK’s Equality and Human Rights Commission expressed deep concern about potentially “regressive” Tory proposals for human rights reform in Britain. The letter, signed by the commission’s chair, Onora O’Neill, and chief executive, Mark Hammond, has been published as the general election countdown continues. Although it makes no reference to any particular party, its scathing criticism alludes to a series of proposals made by the Conservative Party in recent months. 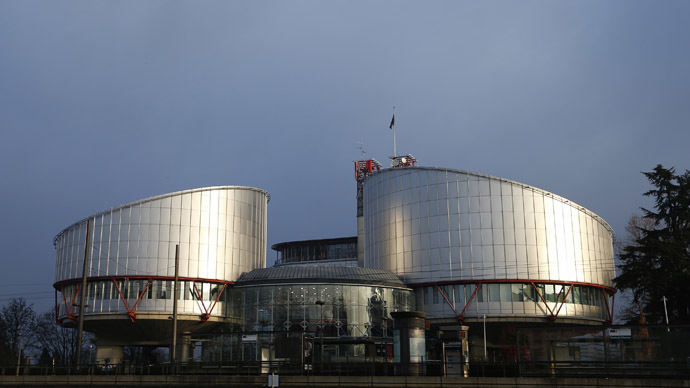 Conservative Party policy, expected to be clarified in the party’s electoral manifesto in April, proposes Britain’s Human Rights Act (HRA) be replaced by a Tory-styled Bill of Rights and Responsibilities, which would neutralize the power of ECHR in Strasbourg, and remove the UK from its jurisdiction altogether. Critics across Britain’s political spectrum warn such a move will serve to sabotage human rights law in Britain and across Europe. The UK’s ex-attorney general, Conservative MP and QC Dominic Grieve, has long condemned the proposal, warning its consequences would be devastating. In December, he said the government’s threat to abandon the Strasbourg court undermines international law and could fray the constitutional fabric that holds the United Kingdom together. Grieve, who is calling for reform of the ECHR, was fired by PM David Cameron last July over his opposition to Britain’s possible withdrawal from the European Union and Council of Europe. In its letter to the UK’s Joint Committee on Human Rights, Britain’s Equality and Human Rights Commission defended the Human Rights Act as vital for protecting Britons’ rights and ensuring they are enforceable in British courts. The human rights watchdog insisted repealing this legislation could affect the state’s capacity to protect the rights of the elderly, the disabled and UK servicemen and women, who risk their lives fighting abroad. It will also impinge on press freedoms. Any future legislative mechanism for enforcing an alternative to this Act must be both “accessible and effective,” the Equality and Human Rights Commission wrote. If this fails to occur, Britons’ rights would be without any real recourse, the letter warned. “This would breach a core legal principle and constitute a regressive step in the protection of fundamental rights,” it said. The Equality and Human Rights Commission went on to say each of Britain’s devolution settlements are inextricably linked to the Human Rights Act (HRA) and European Convention on Human Rights. In repealing the HRA, the government must think of such a move’s far-reaching constitutional effects in the wider UK, they said. The human rights watchdog said it welcomes debate on these important concerns but will not back “a reversal of the leading global role Britain has long played in protecting and promoting human rights. “We must safeguard our reputation for fairness and our moral authority when confronting human rights abuses abroad,” it added. The watchdog’s criticism of Tory proposals to reform human rights law in Britain coincides with a new study that claims British courts are “seriously weakening” Britain’s battle against global terrorism by accepting politically correct rulings from European judges. The report, The Problem with Human Rights Law, was published on Friday by right-wing, Westminster-based think tank Civitas. The study attacked the UK’s left-of-center judiciary for being“too willing”to implement judgments from European courts in Britain, rather than simply noting them. The report’s author, QC Michael Arnheim, said this situation is putting lives at risk by undermining the government’s capacity to fight terrorism and stop illegal immigrants entering the country. “One path risks undermining and diminishing our influence and status as a global leader in human rights and civil liberties,” he said. Speaking to the Guardian, Britain’s newly appointed shadow attorney general, Lord Bach, also sharply criticized the Conservative Party’s proposals for human rights law reform. “The Human Rights Act 1998 was one of the most important pieces of legislation of the whole Labour government between 1997 and 2010,” he said.